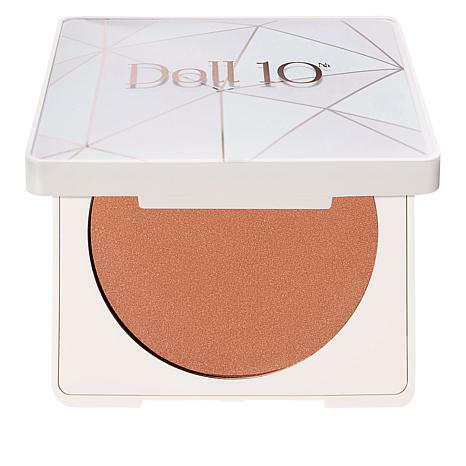 A bronzer that imparts natural-looking warmth and radiance, so you can show off what looks like a sun-kissed glow, all year long. 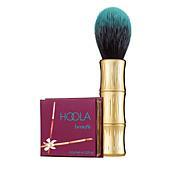 Using a bronzer brush, gently sweep bronzer over the face and body for a natural-looking bronzed radiance that lasts. Ingredients: Talc, Octyl Stearate, Octyldodecyl Stearoyl Stearate, Zinc Stearate, Boron Nitride, Polyethylene, PTFE, Phenoxyethanol, Caprylyl Glycol, Silica, Sorbic Acid, Tin Oxide. May Contain (+/): Mica CI 77891, Titanium Dioxide CI 77491, CI 77492, CI 77499, Iron Oxides CI 77007, Ultramarines CI 77288, Chromium Oxide Green CI 77289, Chromium Hydroxide Green CI 42090, Blue 1 Lake CI 77510, Ferric Ferrocyanide CI 19140, Yellow 5 Lake CI 77163, Bismuth Oxychloride CI 77742, Manganese Violet. 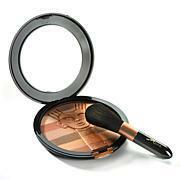 You'll feel like a picture perfect, bronzed goddess every time you apply this camera-ready HD powder. A special formula with micro-fine particles and photochromatic pigments gives this silky, matte powder the high-def effect you crave. Now you're ready for your close up! What You Get .28 oz.